Life is messy. It almost never turns out as we planned it. But there are seasons of life when change becomes overwhelming. Most often, the turmoil stems from a major life transition. It’s not just that life shoves us into new circumstances. It’s that we are changing ourselves—often not by our own choice. Therapy can guide you to be in front of the changes before the transition becomes a crisis. Despite the jokes that are made about midlife crisis, it is a life-change that is momentous for many people. Habits, routines, and roles that seemed normal for several years can suddenly become enormously burdensome. Even boredom can become excruciating. Sometimes success triggers this restlessness. The coveted promotion leads to a realization that the new demands of success are not satisfying. Goals achieved give way to disappointment. Sometimes there is an additional layer of a divorce, major loss, or menopause. Therapy shortens the time of recovery and rebuilding your new identity. The emotional upheaval of a divorce is breathtaking in scale. However, many people have blazed a trail through this intimidating wilderness. The wisdom, insights, tools, and other resources for rebuilding life after divorce is known as “divorce recovery.” Divorce recovery is a process like working through grief that can be done well or done poorly. Going through divorce is often overwhelming because it includes a major shift in one’s identity. One of the most distressing aspects of any identity change is that you have the constant feeling that you have lost your reference points. It feels like free-falling through a pitch-dark, vertical mine shaft. The resulting changes are not only numerous, but they touch every area of life. I have a lot of experience guiding people through this important transition. Call me, and let’s discuss your needs and current timeline with divorce. When the last child leaves home, it can precipitate all kinds of harrowing changes. It can force a complete re-examination of one’s social life, job, and sense of purpose. It can trigger a mid-life crisis of a marriage. Therapy can clarify a realistic pathway through the maze. Therapy can free a woman to experience this transition as the adventure that it is, while managing the stress of change in her relationships and how she sees herself. If pregnancy wasn’t challenging enough, giving birth to a first child is a major identity change for a woman. It is striking to me how often women underestimate the magnitude of this life change…until they are in the middle of it. The profound joy doesn’t necessarily diminish the level of stress that comes with the numerous changes. If you add in post-partum depression or other stressors, you have all the makings of a major life transition. Therapy helps to prevent this important transition from sinking into a crisis. Therapy can make relocation much less stressful. Relocating to a new city usually comes with other big changes: a new job, a marriage, a divorce. When families relocate, the complexity of stress factors multiplies exponentially. Good therapy can harness the power of emotional intelligence to make the adjustment faster and easier. Increasing your self-awareness can make the difference between good and poor decisions related to your career change. This is precisely what therapy can do for you. I made a major career change myself to become a psychologist, so I have first-hand knowledge of the unique stresses of this life transition. I have also walked with numerous people through the decision-making process that is so vital to successful career change. Also, there is usually a way to make a major career change without putting life on hold. When you can plan the career change, it becomes much easier to manage the stress effectively. Becoming a manager for the first time is not only a professional transition, but it can be a major life transition when the weight of responsibility multiplies. One of the most difficult challenges in a second marriage involves step-parenting. I have developed a very specific strategy for creating harmony in the home when families are blended together. It involves becoming a true friend to your step child before you attempt to take on any authority. Many stepparents try to wield authority from day one. It feels right, especially when you feel protective of your spouse. The new stepdad shouts, “You can’t talk to your mother that way!” The result: alienation that takes days, weeks, or months to repair. In contrast, the process I recommend for blended families mixes patience and skill with some very practical steps and tools. Sometimes the empty nest transition gives way to an adult child moving back home. The cause may be dropping out of college, a relationship breakup, an illness, or some other crisis. The stress of seeing your child’s suffering up close changes the whole atmosphere of your home. 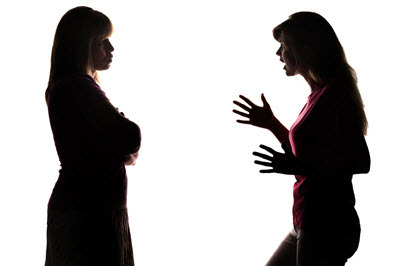 Turf wars and power struggles are common in these situations. Expectations are murky at best. The upheaval is a perfect recipe for family conflict. Parents start fighting more with each other because Mom and Dad can’t agree on how to set limits and provide support for their adult child. Increased emotional intelligence (EQ) is urgently needed during major transitions. The challenging life transitions described above are some of the most common ones. Other major challenges include in-law relationships after the wedding, special situations involving grandparents, and many other life changes, planned and unplanned. The worries, the stress, and the sleepless nights of major transitions are often topped with anger or uncertainty. These feelings need to be processed with compassion and understanding. Therapy helps with that deep ache in the heart when the speed of transition creates an emotional sonic boom in our minds. But there is even more to consider. If the present weren’t difficult enough, the decisions that affect the future are also of crucial importance. The emotional turmoil during these life changes sets us up for hasty, poor decisions…followed by deep regrets for years to come. Therapy for life transitions works on the principle that an ounce of prevention is worth a pound of cure. 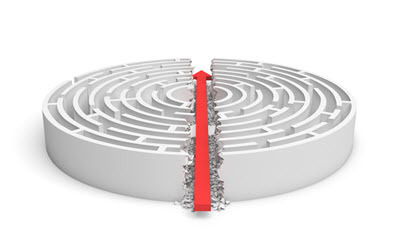 Make better decisions; get through the maze faster. There really is a smarter way to navigate major changes to have fewer regrets in the future. I have had a lot of experience coaching people through major life transitions. I have developed an approach that leans heavily on recent research into emotional intelligence. 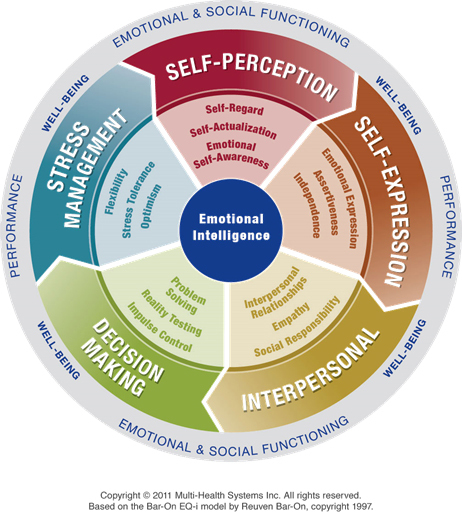 One of my favorite tools is the EQ-I 2.0 test of emotional intelligence. The great thing about knowing your emotional intelligence score is that it can be improved with time and attention. And it certainly can be increased with good therapy. Call me today, and let’s talk briefly about how therapy could make the difference in your life as you go through a time of transition and change.